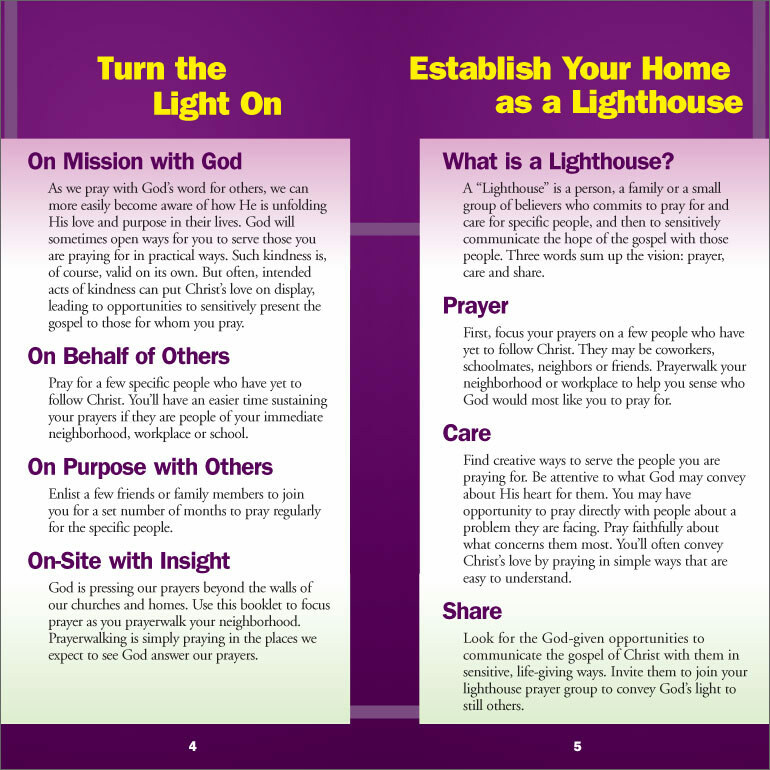 Focused prayers with biblical substance help reignite the prayers of Lighthouse neighborhood and workplace groups with select scriptures for the light of Christ to reach people who don’t yet know him. 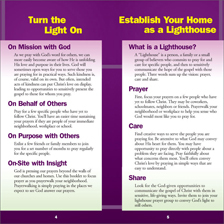 Great for prayerwalkers or for “lighthouse” prayer gatherings to keep prayers blazing with steady hope. 16 pages. Pocket-sized for easy reference. $2.00. A prayerwalking tool that helps believers follow Jesus in the most important thing he did: prayer. Features what Jesus taught (“The Lord’s Prayer”) beside prayers Jesus actually prayed during his life. Includes ideas to help you pray for others in your own words.